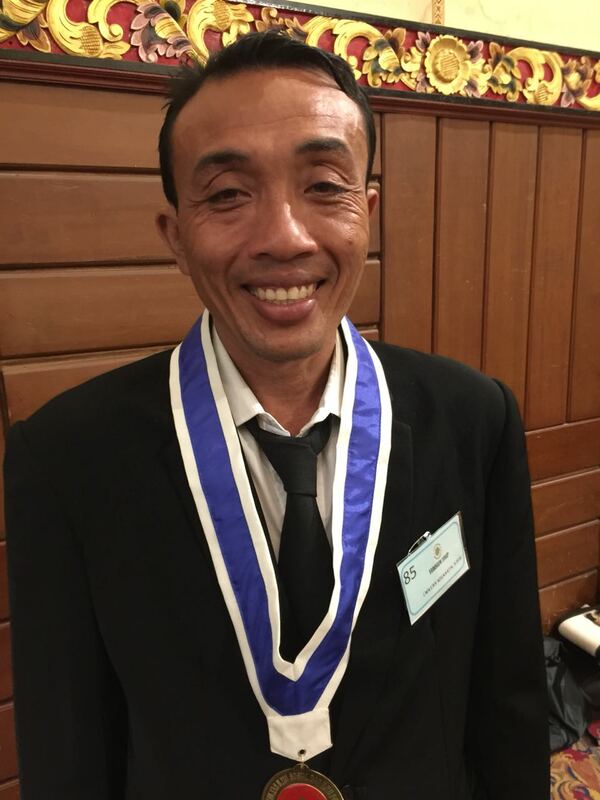 Wira, our head of the Lagu Damai foundation, after 4 years of intense studies has graduated in Social Politics with the degree S.SOS here in Bali. 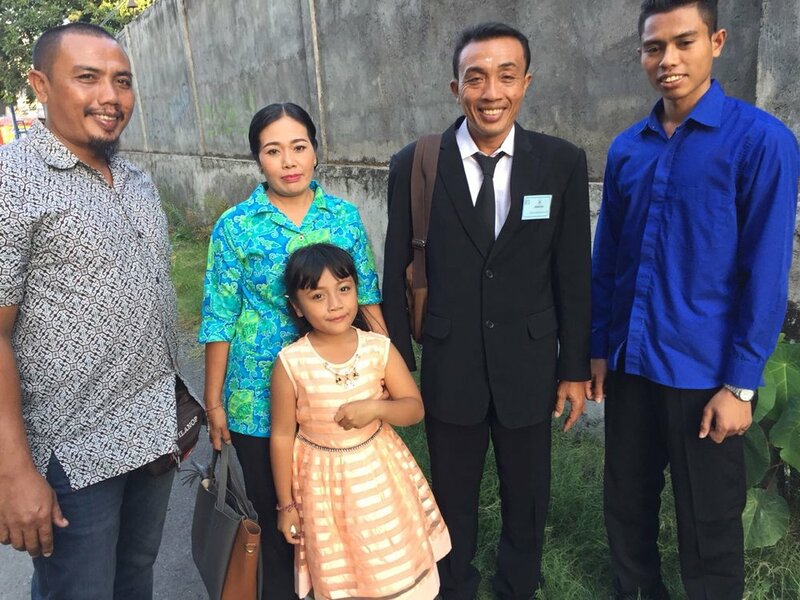 Some of us attend the ceremony, which was quite formal and of course with extended speeches, some beautiful Balinese dances and singing the national hymn etc..
Wira and his wife an daughter who were present is very happy and his family very proud of his achievement. He received a diploma and a medal which was hung around his neck . We are sponsoring a youth up in the mountains and visited his house to establish the criteria needed for admission into our sponsor program This is for the senior high school student, Gede, who lives in most simple circumstances with his family. The parents do have primary school education only and wish to see their children to be well educated. They try everything to provide the money for the fees of the school. Gede was not able to join part of the last semester since the family had no money to pay for the fee. Lagu Damai foundation is evaluating and will support Gede, after speaking now to this teacher at school. You can see in the photos Gede and his two siblings, a view into the kitchen where the family has no running water and has to get the water from 100 m below in the valley. 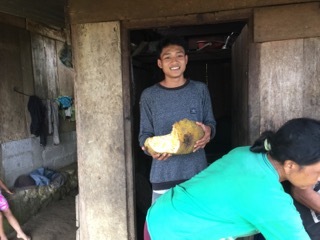 They offered us a Jackfruit to taste and to savor. Jiwa Damai received high officials. 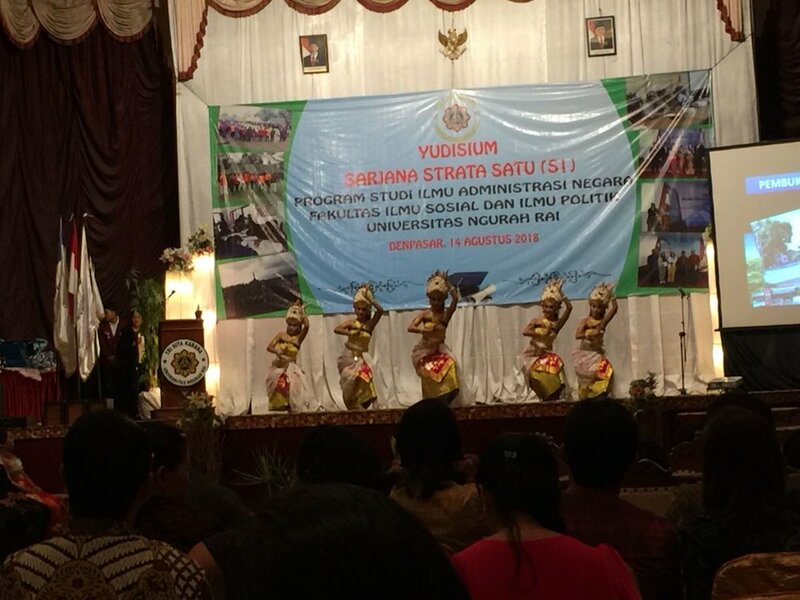 We were honored with the visit of the head of the Badung regency police chief. 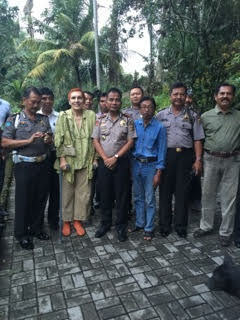 He came with 20 of his staff to visit us, appreciate the work we are doing as well as walking through our gardens and watching our foundation video: Lagu Damai Bali Foundation. Since it was the month of Ramadan, the all day fasting, we invited the chief and his stuff to break their fast in the evening with a buffet at Jiwa Damai. Our kitchen fairies provided a wonderful healthy buffet for all. We are happy to let you know that this month Lagu Damai Foundation is celebrating 13 years of social-educational activities in Indonesia. 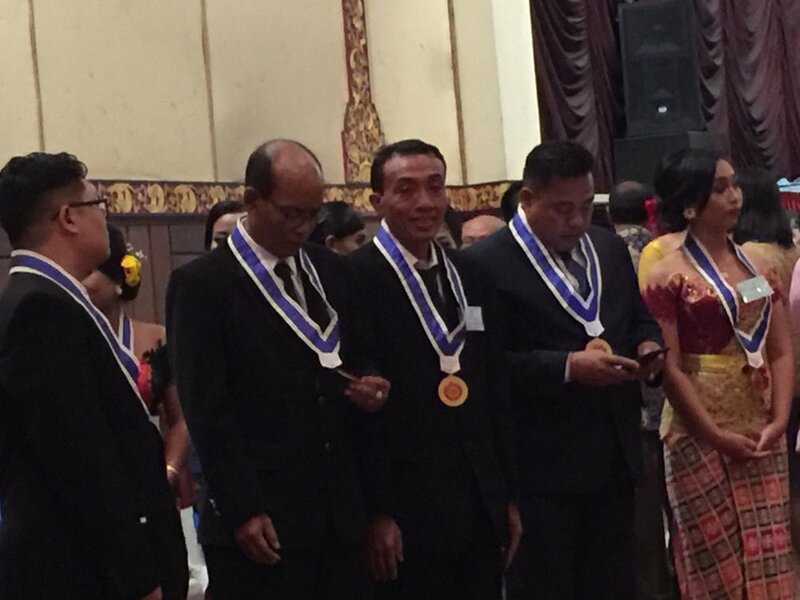 The Lagu Damai Foundation which in Indonesian means “Song of Peace” has been involved in community projects ranging from sponsoring local youth, environment education and internships to permaculture trainings. In order to celebrate, we have prepared a video which recounts the story of our work through the heart. “At the base of our programs is the Heart energy and that means all our programs are based on the Heart, Empowerment, leading to Self-esteem”, founder and long term volunteer Dr. Margret Rueffler. All projects incorporate the following values: unfolding the HeartSelf–Intelligence, consciousness of joy, empowerment leading to increased self-esteem and self reliance in co-operation with the environment, community, earth and humanity as a whole. These are psychological principles that are developed by The PsychoPolitical Peace Institute and its international projects are focused on the longterm prevention of collective violence and dynamic cooperation to initiate peace. Dr. Margret Rueffler is the founder of both organizations.